Intel is reportedly working on a new solid-state drive (SSD) connectivity standard for Ultrabooks, with the intention of solving some of the issues surrounding the existing mSATA standard. 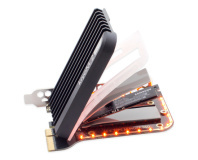 A compact version of the SATA standard, mSATA allows designers to create a compact single-board storage device which connects directly to a port on the motherboard. 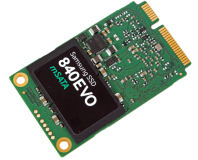 Originally developed for use in ultraportable laptops where there is no room for a traditional 2.5-inch drive, mSATA has also become popular in high-end motherboards for adding in a high-speed SSD caching drive. The design of the standard isn't without its issues, however: in order to create a mSATA SSD, manufacturers need to design around a very limited board area, meaning a maximum of four or five NAND flash modules are available - giving the devices an absolute maximum storage capacity of 512GB using current-generation NAND flash chips. The NGFF standard, it is claimed, is designed as a revision to mSATA which would allow for larger printed circuit boards (PCBs) to be manufactured. Each board would be identical in width and thickness, and differ only in length with 20mm, 42mm, 60mm, 80mm, and 120mm versions being suggested as the initial line-up. In addition to the extra length, the standard allows for chips to be fitted to either side of the PCB - potentially doubling the storage capacity of the devices while requiring no more footprint than an mSATA SSD. 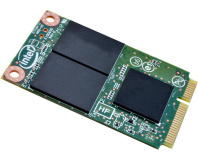 Intel, for its part, has refused to comment on claims that it is to make the NGFF SSD a requirement of Ultrabook devices, or on the rumour that storage specialists Samsung, SanDisk and Micron have all been asked to participate in the creation of the standard. Samsung has released the world's first 1TB mSATA SSD, and we've got it benchmarked.